Request an extensive Government Site Builder market report. 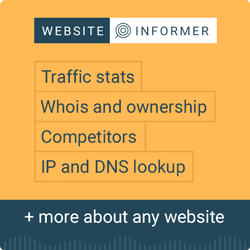 This report shows the usage statistics and market share data of Government Site Builder on the web. See technologies overview for explanations on the methodologies used in the surveys. Our reports are updated daily. Government Site Builder is used by less than 0.1% of all the websites whose content management system we know. This diagram shows the percentages of websites using various versions of Government Site Builder. Version 4 is used by 50.0% of all the websites who use Government Site Builder. This diagram shows the historical trend in the percentage of websites using Government Site Builder. You can find growth rates of Government Site Builder compared to all other content management systems in our Government Site Builder market report. This diagram shows the market position of Government Site Builder in terms of popularity and traffic compared to the most popular content management systems. You can find more examples of sites using Government Site Builder in our Government Site Builder market report, or you can request a custom web technology market report. Get a notification when a top site starts using Government Site Builder. The Government Site Builder (GSB) is a content management system built for German government sites, based on CoreMedia and written in Java.